There were definite upsides and definite downsides to this episode. The upside was that we got to see Jody again. 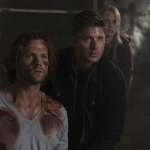 The downside was that we seem to be glossing over very big Winchester issues until something drastic happens down the line. Small nods just aren’t cutting it anymore. First, the good things. I really love Jody, I always love her, so getting to see her come back is fun. She’s been learning so much during her association with the brothers and Bobby. I bet she longs for the days when she was just a simple cop, with no knowledge of what went bump in the night. What’s a little surprising to me, though, is that she doesn’t know more than she already does. I mean, when other hunters-in-training have been starting out, they’ve thrown themselves into researching everything they come into contact with and more. Jody has just enough knowledge to be dangerous, but not enough to stand on her own. So far, she’s been able to survive hunts gone bad, but I still fear for her safety every time she calls. She’s also a woman still dealing with the grief over her family. I think the audience may have forgotten the bad things she had to deal with when all this started, mainly because she seemed to be adjusting so well. Turns out, that was all a smokescreen. We were reminded during this episode that behind this strong, capable woman is the mother who lost her son, the wife who lost her husband. But as we also know, behind every great hunter is an origin story born of tragedy. Jody is certainly carrying on that tradition. And perhaps that’s why she felt so strongly about saving Alex. Jody lost her child, but she can save another from the supernatural. The two of them can bond over the losses they suffered, and maybe heal each other a bit, too. I’m hoping Alex can get on with her life, with Jody’s help. 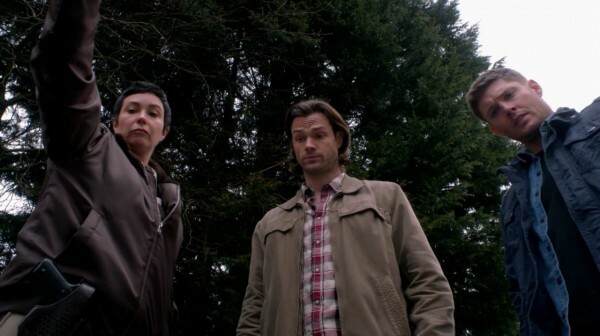 On the Winchester side of things, I felt like they were just… weak. Or the script was. Either way, the boys didn’t really make any great strides forward this episode and were merely phoning it in. Their whole contribution to the storyline could be boiled down to “there are vamps, we should kill them, look at how much fun Dean’s having with killing vamps, Sam is concerned.” And per the last part, that’s really nothing unusual. The boys are constantly concerned about each other, even when they’re furious with one another. This time around, though, it’s like they were going through the motions without the emotions. This late in the game, I need some big sweeping gestures instead of the subtle nods that something’s not right. We know the Mark of Cain is changing Dean, but we got one illustration and one passing mention, that was it. The rest of the time, it was like the boys were where they were years ago, working together with all the trust and none of the destruction. The episode’s attempt to remind us of the Mark’s effects was a bit awkward, too. 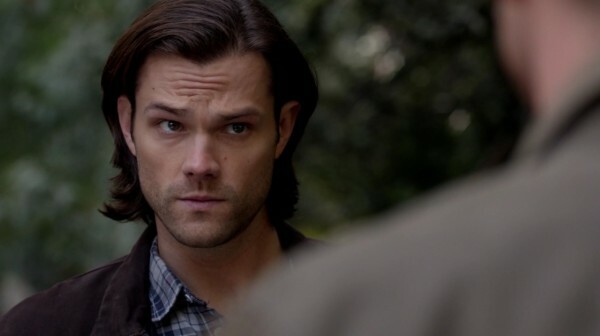 What came out of the conversation between Sam and Dean at the end wasn’t “Sam sees the power the Mark has over his brother” but instead “Sam doesn’t want Dean to enjoy his job at all.” It’s not what he meant, but the delivery made it seem that way. Very odd. As we near the end, I expect some pay-off for all these different storyline threads. And the Mark better play out big time! Something this drastic, changing Dean from the inside out, isn’t going to be brushed aside as something he just gets over in an hour. At least I hope not. And as with every year, I fear for his and Sam’s safety, along with all the players in this grand drama. While it’s probably too much to ask that everyone makes it out alive, the sacrifices better be worth it.